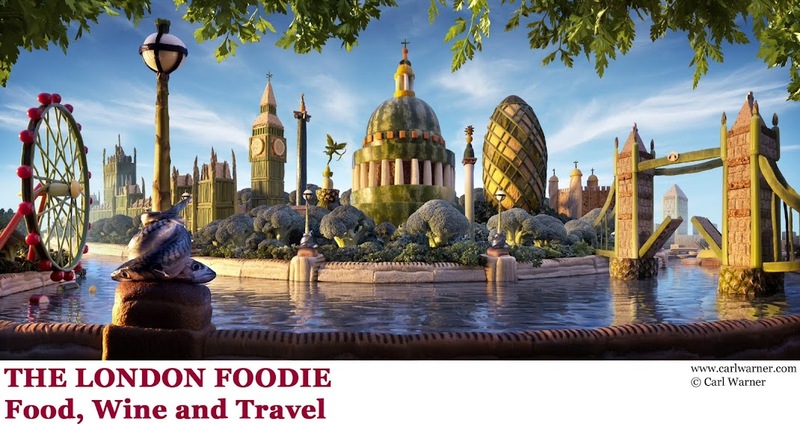 The London Foodie: Franciacorta - Italy's Answer to Champagne? We Find Out. 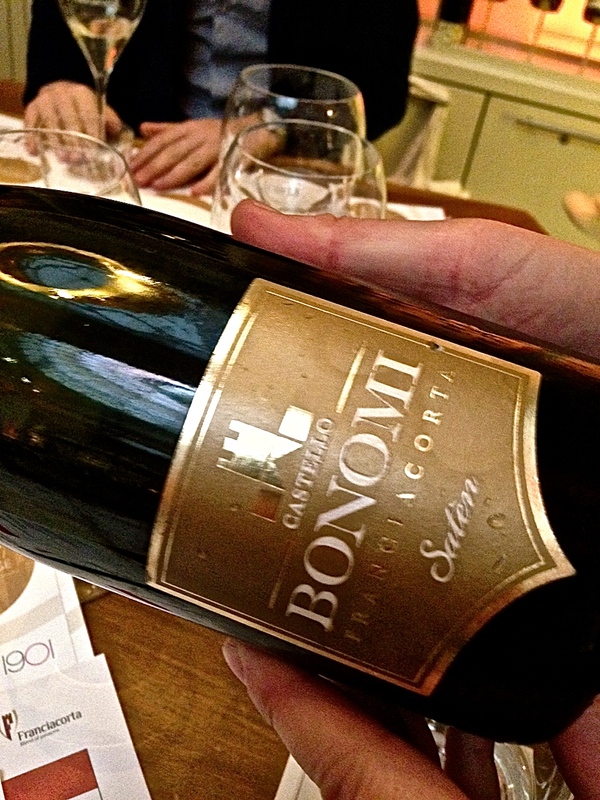 Franciacorta - Italy's Answer to Champagne? We Find Out. Think of the world’s venerable winemaking nations, and Italy will surely be near the top of the list, with rich Barolo, peppery Chianti, and dozens of other venerable varietals, regions, styles and makers happily crowding the mind. Think Italian fizz, however, and that expansive, multi-hued picture often reduces to a single frame crowded with one word: Prosecco. This ubiquitous sparkler can, of course, be lovely; it can also be, and too often is, unbalanced and one dimensional – the stuff of a thousand cheap Bellinis. Italian winemakers have long howled that there’s much more to their country’s sparkling wine scene, and so it was with great anticipation that we sat down recently for a master class featuring six Italian sparklers looking to knock Prosecco off its perch. The fizz in question hailed from six winemakers in one of Italy’s prominent sparkling regions, Franciacorta, located in Lombardy a couple of hours’ drive from Milan. Though wine has been made here for centuries, Franciacorta sparkling wines received DOCG status – the top quality marker in the Italian wine industry – only in 1995. 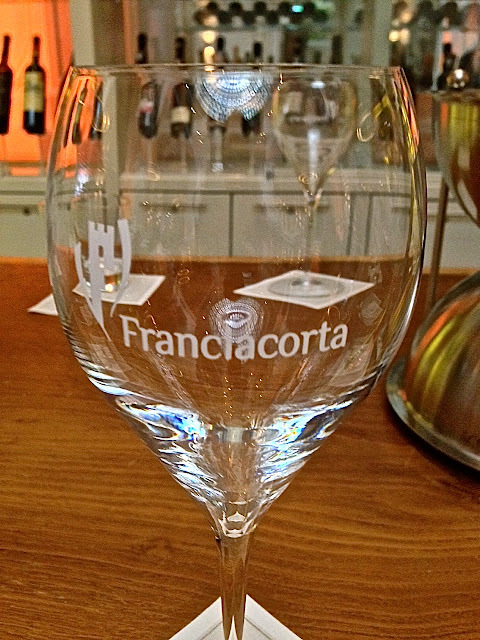 The rise of Franciacorta as a producer of sparkling wine since then has been precipitous: from 3,000 bottles a year half a century ago to over 15 million bottles sold last year. 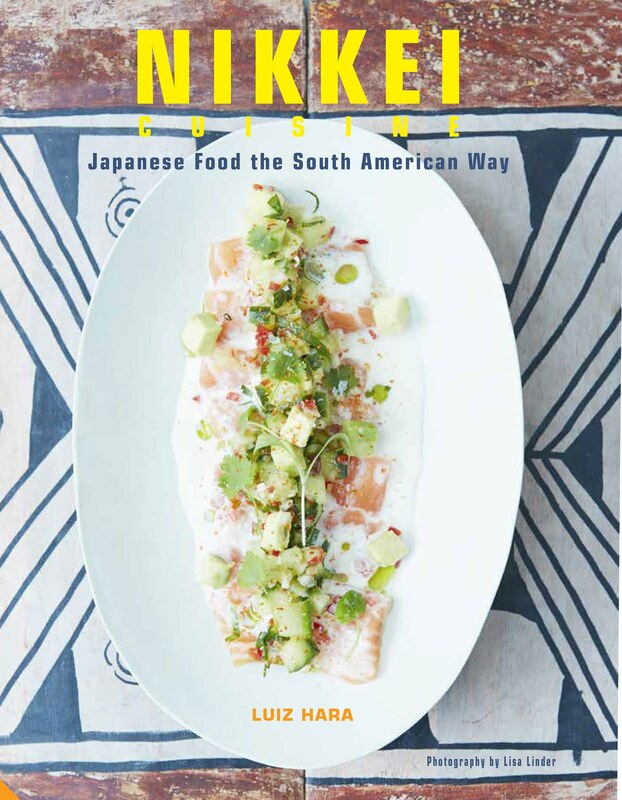 We put Christopher’s words to the test with a range of sparkling styles, beginning with a Franciacorta Brut made by Antica Fratta (£28.50, Amazon.) This non-vintage style fizz was medium dry with top notes of hay and wood-smoke and a honeyed finish that was slightly sweeter than expected, though not off-puttingly so. Very low acidity made it also very drinkable, and a fine choice to start any dinner party. 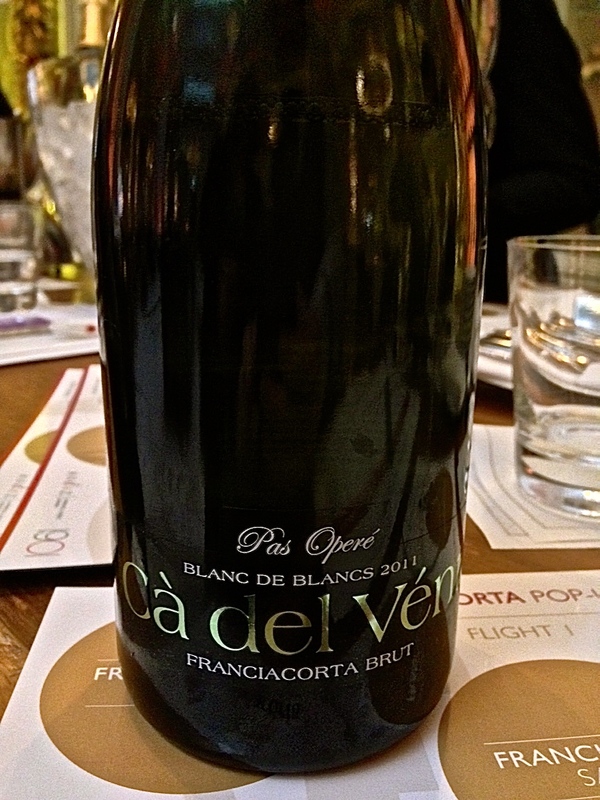 A highlight of the event was the Ca’Del Vent Blanc de Blancs Vintage 2011, a so-called ‘zero dosage’ Extra Brut with no sugar added. Non dossato sparklers have long been a favourite aperitif in northern Italy and it’s easy to see why: absolutely bone-dry, the absence of extra sugar amplifies the pure sweet-tangy flavour of the grapes, offering a lean, fresh feel and taste. Zero-dosage wines can often been astringent, but this Franciacorta Extra Brut was a revelation that I’d happily buy by the crateful. The Bellavista Alma Cuvee, a non-vintage Franciacorta sparkling wine, was not quite as wow as the Extra Brut but has the distinct advantage of being easily purchased in the UK (£13.21, uvinum.com.) Alas, while Franciacorta sparkling wines are broadly available in the UK, many of the labels sampled here would require a trip to Italy (or paying the appropriately steep shipping cost from a UK importer.) Bellavista is good value at the price and would match well with hearty, meaty dishes – we tasted it with a portion of aged beef roast with spring onions – and would be a fine, if not outstanding, aperitif. 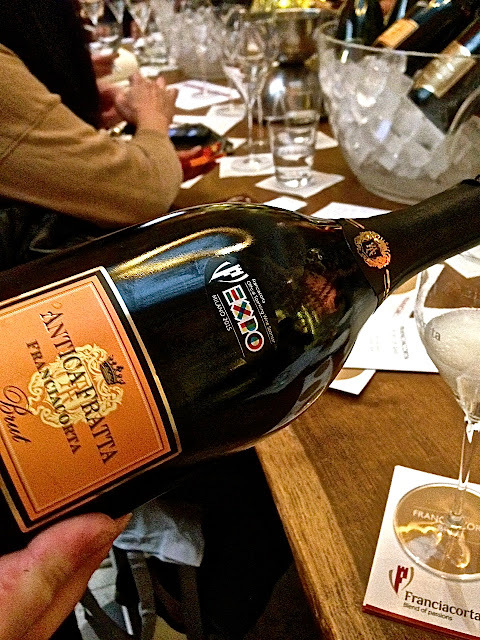 Gatti Enrico Vintage 2008 is a Franciacorta Brut made in what’s known as Millesimo, or ‘year-defined’, style (Millésime is the Champagne equivalent.) 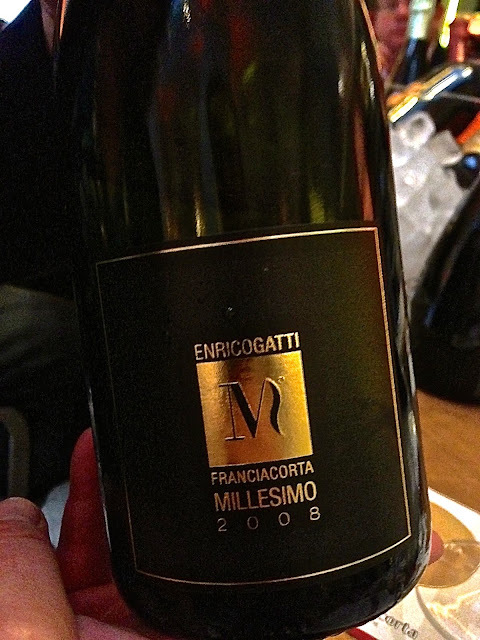 Most sparkling wines are made from grapes harvested in different years, but occasionally a wine-maker produces a Millesimo to highlight the quality of a particular vintage. If the Gatti Enrico is anything to go by, 2008 was very kind to Franciacorta: this was the most classically Champagne-like of the Franciacortas, in the best possible way – earthy, bready, firm and delicious. 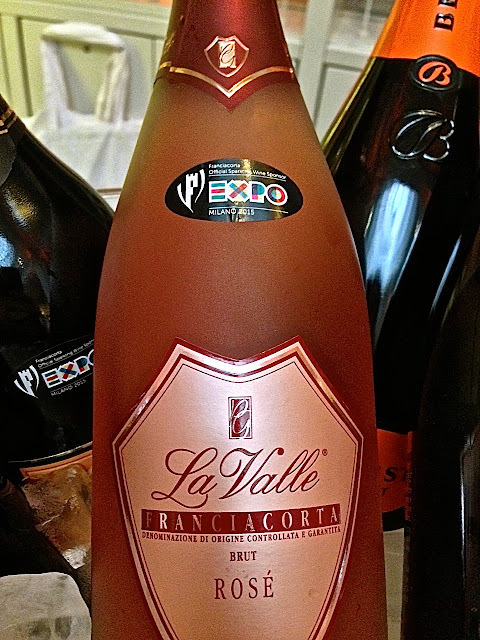 We finished with Franciacorta La Valle Rose (£30.49, Italyabroad.com), described by Christopher as an “up and comer” in the region. Made only from Pinot Noir grapes – and with the wine left on the skins to produce its gorgeous rosy hue – this was a soft, lightly bubbling glass filled with strawberries, pear and sunshine…just the sort of thing to nudge a bit of la dolce vita into our blossoming English summer, and an excellent match with a variety of foods, including the crumbed taleggio with red pepper emulsion we were served. As mentioned above, some of the labels represented in this tasting aren’t yet readily available in the UK. That said, many Franciacorta sparkling wines are very easily found via Ocado, Majestic, Fortnum & Mason and any number of specialty wine shops. 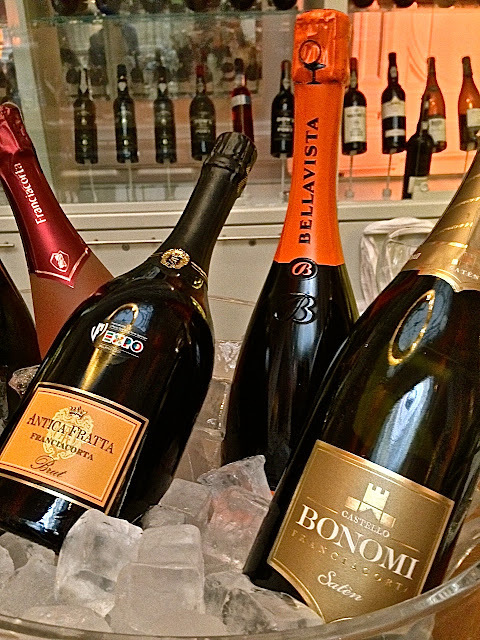 Based on the consistency of our tasting, you’ll be well rewarded for trying any of them…and for leaving all but the finest Prosecco behind.